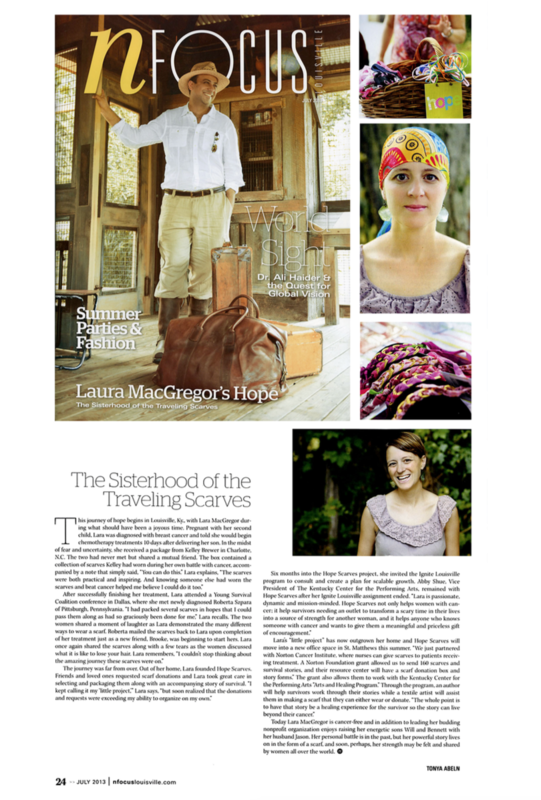 I became connected with Hope scarves, when I met Lara MacGregor at a Breast Cancer Survivor luncheon. 2. How did receiving the scarf and story impact your healing journey? Lara was telling me all about the support you feel when wearing a hope scarf! I couldn’t wait to receive mine in the mail. When I opened the envelope I was so excited to find and read the other women’s journey stories. I also received a little note from a little boy, telling me I can beat cancer!!! I love my scarves, I love to wear them to treatment and feel all the love from women who been down my road before!!! 3. What are the things that provided hope and strength to you throughout your battle? First and foremost, God, knowing he’s standing at the finish line waiting for me, and cheering me on through every step!!! I have an amazing support group of survivors around me….I have been very brave through out my chemo process and this whole journey. 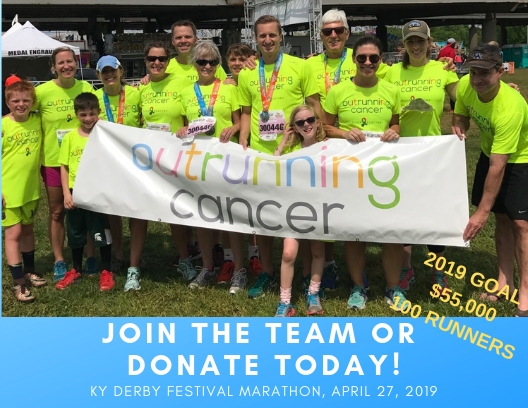 I have remained completely positive, and decided not to let breast cancer get me down, instead I like to make other cancer patients, family and friends understand you don’t have to be afraid of cancer! 4. Where are you currently in your cancer journey? I have 1 chemo treatment left, then I’m scheduled for a double mastectomy with immediate reconstruction on July 17th. I will have surgery again in 12-16 weeks to complete the reconstruction process!! I love to drag race my Camaro, and shoot my gun!!! My family is amazing through my journey, I have an incredible husband and daughter who is 9… I am trying to live my life as normal as I can, but nervous about all the germs!!! I wish everyone who is battling hair loss due to chemo, could feel the love you feel when you wear a scarf worn by another woman, especially after you read their story, of their journey! The women who founded Hope scarves are truly amazing. I feel so blessed to have met them!!! I would definitely tell them to send one, receiving such a cute package in the mail, will cheer her up for sure!!! The scarf will give them hope and make her feel so special…. 7. What is something that you would like to do that you haven’t done yet? I would love to jump out of an airplane, I would also love to spend about ten days In Bora Bora with my husband!!!! God is always there for me!!!!! 10. Please share something you learned having gone through cancer. I have learned that small things don’ t matter, your friends don’t mind if your house is a mess when they visit… Let other people do things for you. If you just trust God you will be very strong and at peace through the whole journey!! !